Last night, and possibly because the month of October came to a close, Google Now started showing a new card to a number of our readers. That new card is a pedometer that has been tracking their steps and miles biked over the last couple of months, behind the scenes. I say “behind the scenes” because this is a card that we have yet to see or hear about. In fact, I took a quick look through Google Now settings and could not find this feature mentioned. Pretty cool though, right? As you can see in one of the screenshots, it actually compared September to October and split up the activities depending on activity type. There is a mention under the results that reads “Based on your device’s location which is periodically sent to Google.” A Learn more link sits below it, but doesn’t provide any useful info. 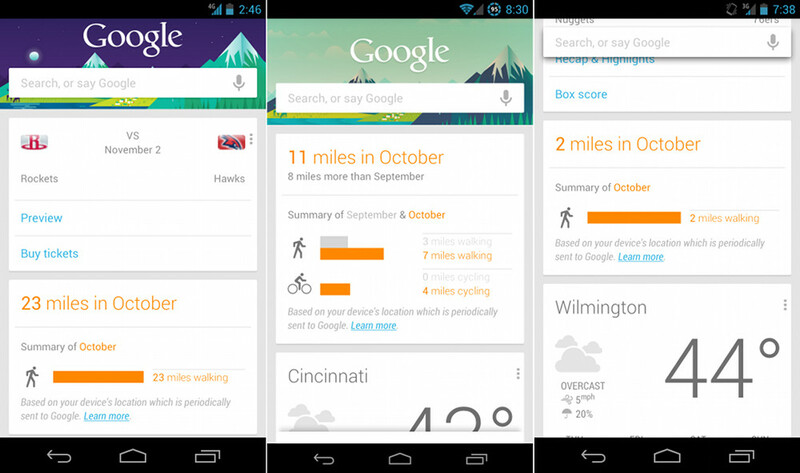 Has your Google Now pedometer card showed up? Feel free to post ’em in the comments. Cheers Zeas, NCSUgolfer01, cory, Stephen, Dale, Jose, Grady, Matthew, and Brian!